You might be thinking, is there anything like Best Headline Generators For Better CTR and High Traffic? I have written correctly and you have read it correctly. You know that whether it is a headline of a newspaper or news on television or your blog post if it is not compelling, people will not get attracted towards you. 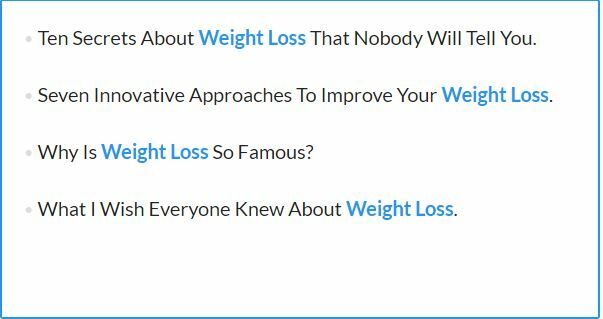 So, do you have any strategy of writing clickbait titles for your blogs? No, then I am going to give you something fishy you might be looking for. There is no way or short cut to avoid competition. Whether it is related to your niche or your internet marketing strategy, you have no rocket science to avoid this. Basically, it has become a part of life, but you should understand that this does not spoil your content marketing efforts. Instead, you should create a strategy of writing good quality content. With this strategy, you will be able to drive higher traffic to your website and better CTR as well. First, you have to understand the importance of “HEADLINE” for the content you are writing. Without a clickbait headline, you cannot expect good traffic and better CTR. A few weeks back I have published article writing about the best WordPress plugins of 2019. Well, the response was overwhelmingly positive and I did receive a few e-mails as well as comments. Some of the responses I got were asking if there are any Best Free Headline Generators. I know like most, even you have not thought of something like this in the past. I mean you should think about this now and in the near future. It is just like, when you try to reach your audience on an emotional level and when you touch on their pain points, and then you may have better odds of reaching your target. Writing an attractive headline is basically an art as well as a science. It is an Art because your headline should lull readers into taking action. It is a Science because you should focus on the length of your title, strength and frequency of your keywords etc. Why Are Your Headlines or Titles Important? Well, you don’t need a course to be done for writing a better headline; it’s a matter of experience. There are numerous tools and techniques that may help you in analyzing whether your headline is clickbait or not. Before using these headline generators, I should tell you what is the importance of attractive headlines? We all know that the first impression is the last impression. In the same way, your titles represent the brand of your product. Titles are the first thing that entices the attention of your audience, which in turn will help in building connections. It also helps in getting attention on the search engines. The title grabs the reader’s attention to continue reading the whole of the content. A title may help in changing the way readers read the content and also it becomes a way to remember it. Here I am going to list out 7 best headline generators any blogger can boost the quality of their headline, increase the CTR and drive more traffic to the blog post. Before moving towards our actual agenda, we can have a look at this video first by Neil Patel. Are you one of those people who is struggling for getting new and inventive blog topics? With no doubt, it is really difficult to generate compelling topics, especially at the time when your blog grows. I will not lay you, truly and honestly, I strive to post several strategies of content marketing almost every week. Well, I know this is good to know about but every time it becomes difficult to come up with catchy headlines for each blog post. If you are also struggling in this area, then HubSpot’s Blog Topic Generator is what you are looking for. I am sure as a digital marketer, you all have heard about HubSpot. This free tool is a very popular blog headline generator tool. This tool helps you generate attractive titles for your blogs. You can also use this tool to generate new topic ideas. This tool will surely help you. It will take the work out of the process because this tool will provide you with ideas for your next blog post. Well, I must tell you the process is very simple and useful. You just need to fill in the keywords that you always wanted to write about. From there you will get numerous titles for a week’s worth of blog post. What else you want? I am going to take the example of “Weight Loss”. As soon as you enter a NOUN into the space provided to get started, click on ADD and you will get blog ideas immediately. You will get A Week Of Blog Ideas and if you will unlock, you will also get A Year Of Blog Ideas. You can use this tool to generate basic ideas at least and to stimulate your brain. Well, after reading all the first 5 ideas, if you didn’t like them, you can hit “try again” button. You never know what you will come across when the tool will generate more topics based on the single keyword which you have typed. Do you actually feel that writing compelling headlines can generate more interest in your blog? We are here to discuss the free headline generators, and CoSchedule is one of its kind. Things can get even better with CoSchedule Blog Post Headline Analyzer. 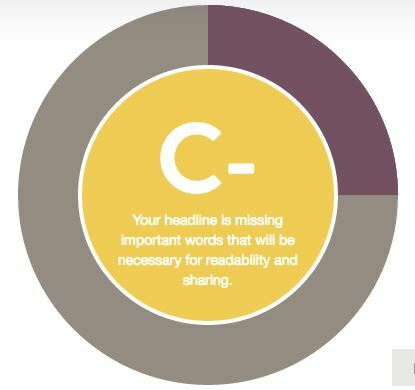 This free tool will give you a quick analysis of your headline. It will allow you to make changes until you find what you are looking for. It just takes a few seconds for your headline to receive a grade. By now, you have come to know what is missing in your headline, so you can use the rest of the results to make changes according to you. Creating the headlines with the help of the tools is just like making minor tweaks and then reviewing the results. CoSchedule Blog Post Headline Analyzer is built on the basis that the marketers have to create high-quality compelling headlines that may convert larger traffic, which will result in better CTR. Have you ever considered the emotional marketing value of your blog headlines? I just can imagine, that you have never thought of such things ever in the past. But, now its high time you should think about this. All you need to do is just reach the emotional level of your target audience, touch on their pain points, you will find that you have better options to reach your goals. Emotional Marketing Value Headline Analyzer is a tool that makes it easy for you to better understand the emotional value of your headline. While using this tool, you don’t need to analyze whether or not you are using the right words. The reason is that everything is already laid out for you. As you can see, 40% is not the worst score. Well, I am still far away from the most gifted copywriters in the world. With the help of this tool, you can easily tweak your headline until the time it meets your standards. 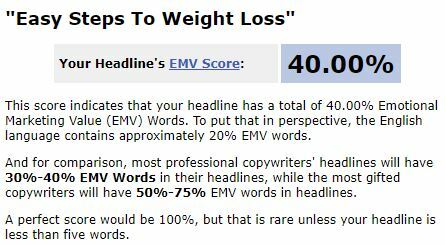 Once you have reached the top notch of creating a headline with an EMV of 50% or may be more, you will be able to think about creating content. I hope you understand the benefits of making catchy headlines. 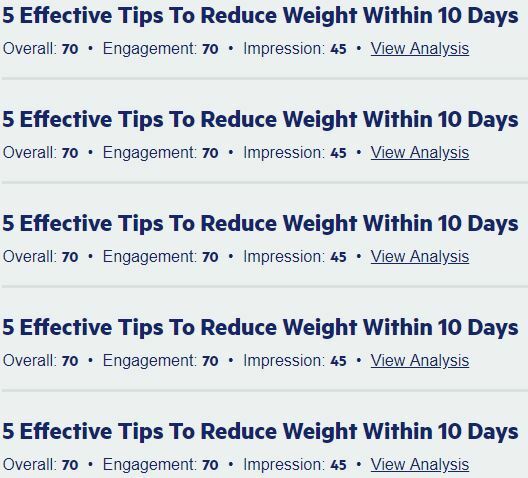 These clickbait headlines will be able to generate more traffic and also better your CTR. Anyways, regardless of your answer, you can use the Hemingway Sharethrough apparently to your advantage. Here is an example of analyzing the tilte. Again I will stick to “Weight Loss”. As you can see, the tool has analyzed the title given and scored it according to the quality as 70 which is an average score. In fact, you can also notice that the strengths and suggestions are also given. So, you can easily frame your headline. Well, this is not an end! Apart from all this, you will be able to get a report on the impressions and engagement that the headline can catch. You might be thinking that there is a lot of work to do while using the Hemingway Sharethrough. But, when you are aiming something you have to come out of the four walls to fight through the growing pains. Soon, you will come out of this and wonder how you ever got all this without this nifty little tool. Can you tell me with surety that your headline is giving the best results? Well, till now we have talked about some of the Best Headline Generators, which are best in their own way. With this tool, I would like to go a step further. 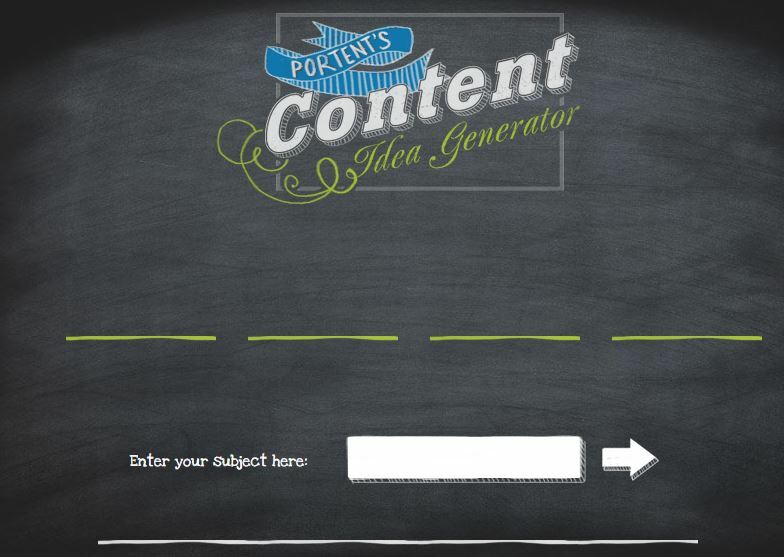 This free headline generator is designed in a way so that it can help you increase readership. Readership can be increased by attracting more and more clicks and keeping people engaged in your blog post for a longer time. You can create any number of titles you want and then load them in your blog post. The result of the first step is that the visitors will be able to see different titles. The process will go on and as time passes, the most searched title is determined and subsequently will be displayed to the future visitors. The motive behind this is that the tool is helping you in finding the catchy title and best results for your blog post. This is true to say that “A quality headline is a big part of a quality blog post”– Neil Patel. Please don’t doubt about this if your blog post is top notch, you may not be able to share it on social media if your title is not compelling or falls short. This tool is easy and simple to install, so there is no reason left to overlook KingSumo Headlines. Are you still struggling with framing catchy headlines for your blog post? Like most, this may be a Gordian Knot for you. This may be something which you have not thought about in the past. Headlines are an essential component of your content. “On average, five times as many people read the headlines as read the body copy. When you have written your headline, you have spent eighty cents out of your dollar”– said by David Ogilvy (The Advertising Legend). Headline Generators will help you come out of Pandora’s box and gives you numerous options to have a clickbait title for your post. SeoPressor is one such popular blog title generator tool. Not only it helps you to generate relevant and impressive titles for your blog but also you can choose it to generate new topic ideas. All you need to do is, just insert your keyword related to the post and choose whether it is a generic term or a brand or something else from the drop-down menu. I will go with the “Weight Loss” example again, let’s see what I have got. Remember these just the instance. You can generate more titles for the same keywords and you may also get the topic ideas for your next blog post. Are you on the board with the idea that great titles produce better results? If you have yet to ponder this question, then please take time to use TweakYourBiz. In this post, we have discussed a full-fledged list of headline generators to get high traffic and better CTR. I think by now you might have understood that you cannot write anything and can generate top of the line results. If you want your post to produce high-quality results, then its title should be of the highest quality. I am just trying to say that you have to be careful while choosing a title or headline for your blog post. Well, there are many headline generators available but if you are looking for a more advanced solution, the TweakYourBiz is a good place to start. Maybe you have heard of a saying-“less is the new more”. But, this amazing headline generator tool is completely opposite. TweakYourBiz shows you amazingly a number of ideas in one shot. You just need to type the topic you have chosen for. 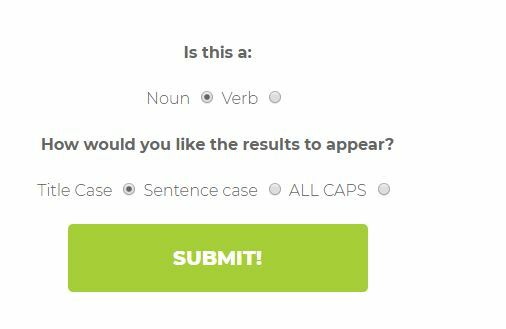 Choose whether it is a noun or a verb, you will also get the option of choosing, whether you want your result to be appearing as a Title Case, Sentence Case or All CAPS. Then push the SUBMIT button. I know you will be overwhelmed by seeing the result. Even I was getting goosebumps all over my arms when I saw the result. So, I have tried it with my ongoing example of “Weight Loss”. You can see what I have got. If you have tried this by now, you might know that the result I have shown you is not just it. Apparently, anybody will be overwhelmed by seeing such great ideas. You can see that the generator generates titles on the basis of different categories. This will definitely help you in choosing the right title for your blog post. Are you still struggling with getting a good headline generator for your blog post? I know, this question is making you edgy. With so many options at a time, it becomes difficult to choose one. Portent’s Content Idea Generator is one of the coolest headline generators you might have ever seen. This title analyzer or generating tool is very easy to use. The way it generates ideas prompt you use them in your blog post. 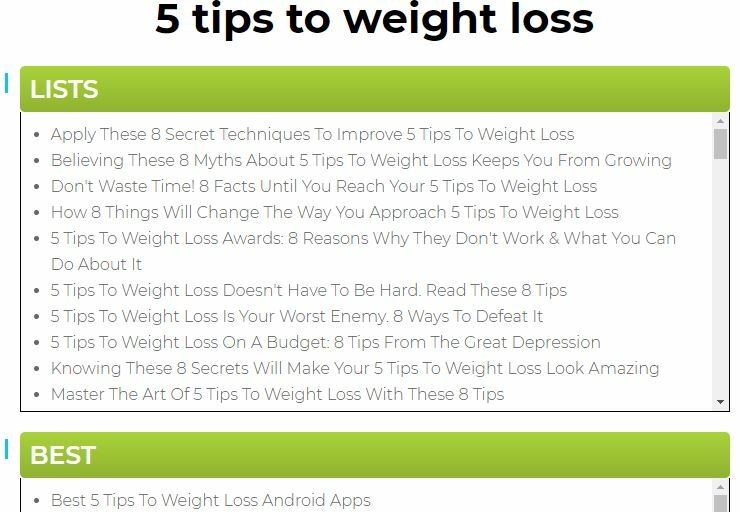 All you need to do is just add a keyword and press ENTER as I did with the keyword “weight loss”. In case the title which the tool has suggested is not relevant to your blog post then press the REFRESH button just next to the keyword box. Well, I have liked this tool very much and will recommend you to try this idea generator for sure. Do you have any idea that marketers who give priority to business blogging experience a positive return on investment? So, keeping this in mind, it is easy to understand the importance of investing much time, money, efforts and resources onto your blogging strategy. But, remember this: you need to start with your “Headlines”. Compelling titles will not only increase your CTR but also generates high traffic. For this purpose, I have discussed here some of the best headline generators which are readily available for you. They are specifically designed to help you generate good quality titles, which can compel readers to continue reading your blog post. Do you have any experience of sharing any of these headline generators? Please share your experience in the comment section of the FORM. Also, check out our recent posts on Yoast SEO Vs All In One SEO and why to choose Yoast SEO above All In One SEO. Thank you for sharing amazing knowledge about Headline Tools. Before reading your blog I am not aware of it. I just started my career in digital marketing so, it is very useful for me.